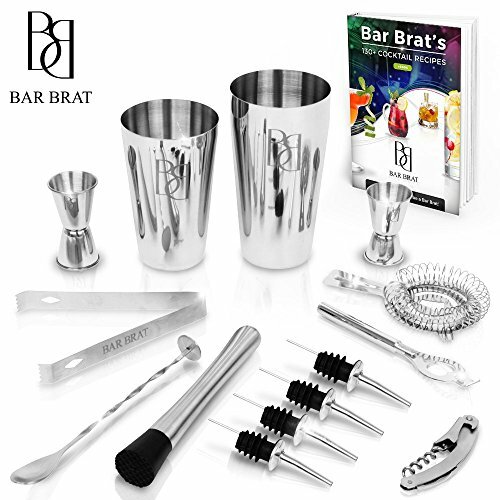 $30.99 (as of April 22, 2019, 4:41 am) & FREE Shipping. 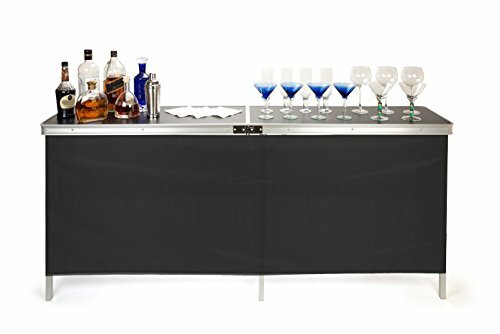 ✔DON’T LET YOUR BAR & TABLES GET RUINED – Whether you’re a bar owner, a restaurant manager, or just someone who likes to have friends over, you need to find a way to protect your bars and tables from careless, overexcited guests and their drink glasses. 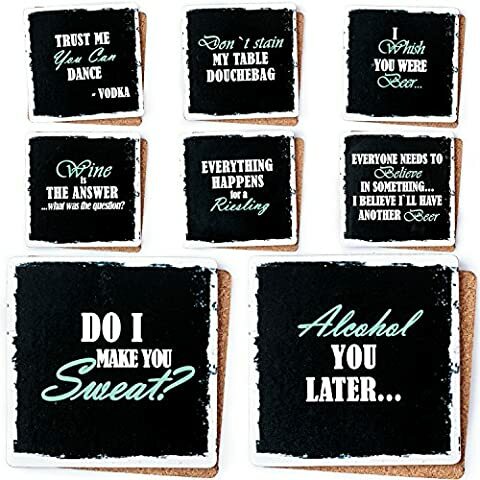 But hey – don’t worry!That’s what these wonderful drink coasters are for! 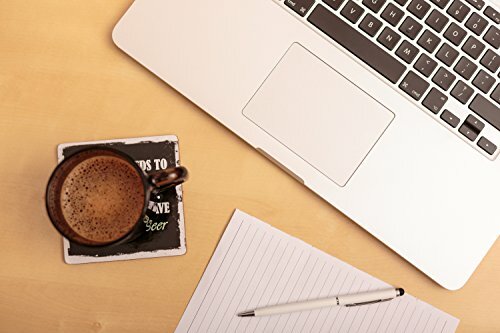 ✔WITTY ONE LINERS, STYLIZED DESIGN, OH MY! – Designed for both utility and fun, these bar coasters will not only keep your tables dry and unscratched, but also keep your friends excited, entertained, and happy! 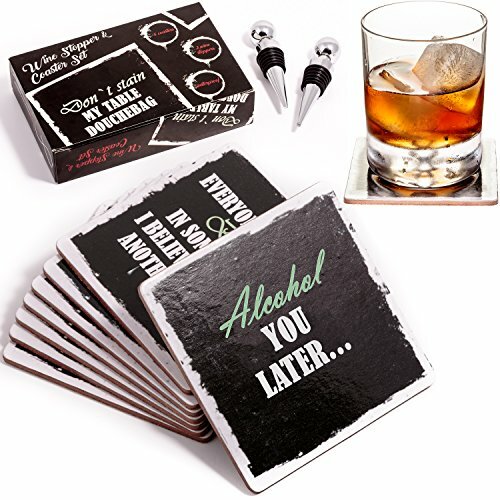 Each comes with a witty one liner, joke, or conversation starter your guests are going to go crazy over! ✔PREMIUM QUALITY, RIGHT THERE ON YOUR TABLE – Don’t let the humorous prints fool you. These bar coasters are made with nothing but the finest materials. They’re 100% waterproof and dishwasher safe, and their 4-inch large square shape is perfect for all kinds of glasses, cups, and mugs! Keep Your Guests Happy & Your Tables Un-Scratched – The Smart & Funny Way! Are you a bar owner, a restaurant manager, or just someone who loves to invite friends over and have a great time over drinks? 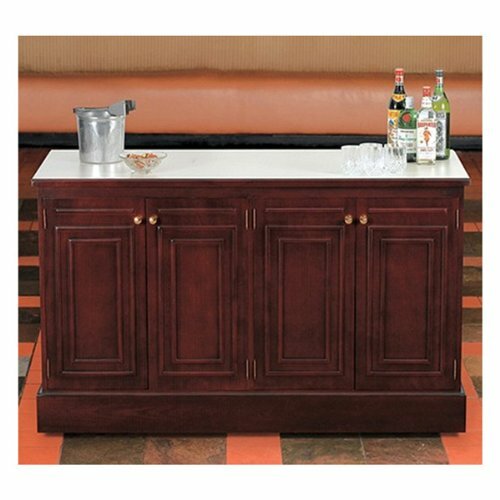 Don’t you hate it, however, when your customers or guests leave your bar, tables nad furniture wet and full of glass rings and scratches? If that sounds a bit too familiar, then we’ve got you covered. 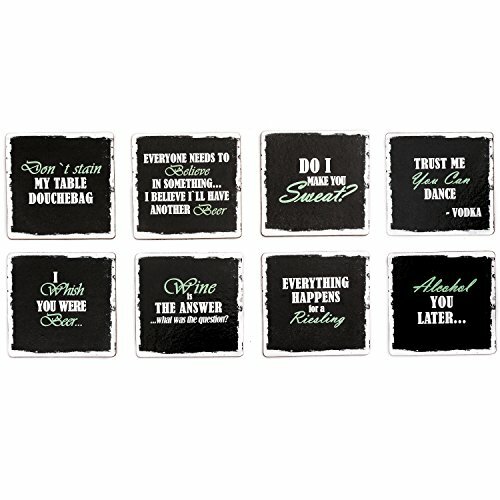 With these wonderful coaster set, you won’t have to worry about any of the e things, ever again! Made to keep your furniture safe from your overexcited guests and their drinks and glasses, these large square bar coasters are the perfect size to hold any glass, mug, cup, or bottle. 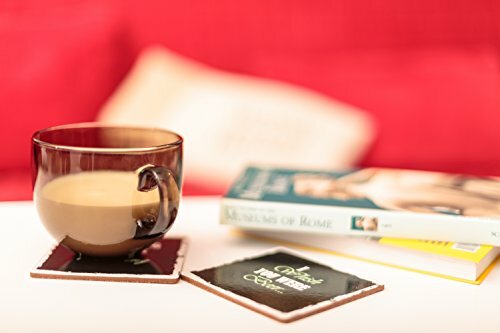 As all truly high quality coasters, they are stylish, waterproof, wipeable, and easy to clean; just throw them in the dishwasher and be done with it! Plus, their non-slip cork bottom will make sure they stay firmly in place on your tables and bars, even in the unfortunate case of a drink spill! Designed For Buth Fun & Utility – Plus, They Come With An Extra Surprise! 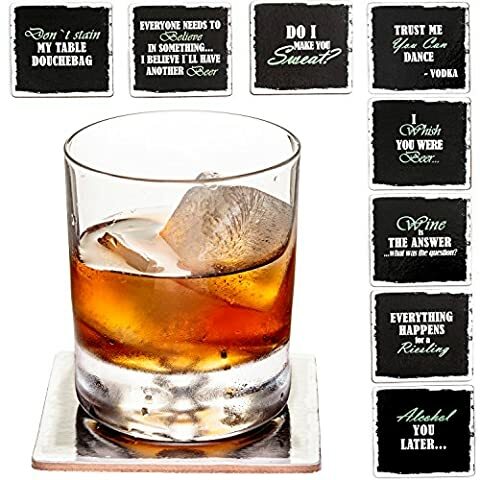 Besides their practical value as furniture protectors, these premium coasters also make for great conversation starters. Each of them is printed with a funny and witty message – a great way for your guests to have a good laugh! 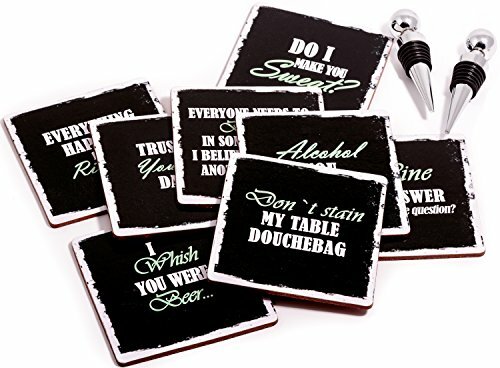 What’s more, your set of new bar coasters will come to you with an additional surprise: two stainless steel wine bottle stoppers! So, What Are You Still Waiting For? Your Tables To Be Ruined? 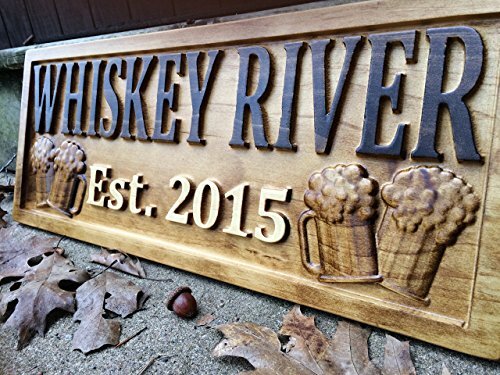 ✔AN AMAZING NOVELTY GIFT FOR YOUR FRIENDS – Are you looking for a fun and thoughtful housewarming or birthday gift for one of your friends or loved ones? Well, look no further! These amazing waterproof non-slip drink coasters are going to keep their furniture safe and put a smile on their face, at the same time! ✔OH, AND DID WE MENTION THE WINE STOPPERS? 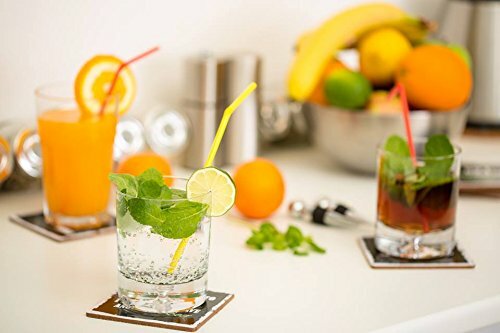 – Along with your brand new drink coaster set, you will also receive an exciting extra surprise: a set of 2 top grade stainless steel ball design wine bottle stoppers, so that your arsenal of bar tools, equipment, and accessories is fully stoked! What’s not to love?